Claudio Castagnoli is a Swiss professional wrestler born on 27th December 1980. Currently, he is signed to WWE and is better known by his ring name Cesaro. Previously, Cesaro performed in various independent promotions such as Pro Wrestling Guerrilla (PWG), Combat Zone Wrestling (CZW) and Ring of Honor. As a child, he was very active and was a competent sportsperson, being interested in soccer, basketball and tennis. But during his last teenage years, Cesaro developed an interest in wrestling and began training and competing. Antonio made his professional debut in 2000 for the Germany-based Westside Xtreme Wrestling. Castagnoli earned recognition and success in coming years by winning several championships including ROH World Tag Team Champion, WWE Tag Team Champion, WWE United States Championship and PWG World Championship. As far as his personal life is concerned, Antonio Cesaro has dated fellow wrestler Sara Amato (Sara Del Rey). Sara Amato (Sara Del Rey). 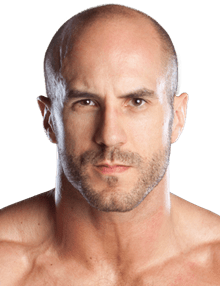 The WWE wrestler Antonio Cesaro body measurements are listed below including his height, weight, shoe, chest, waist and biceps size details. Antonio trained other wrestlers including Green Ant and Kodama. He can speak five languages including English, French, Swiss, Italian and German.